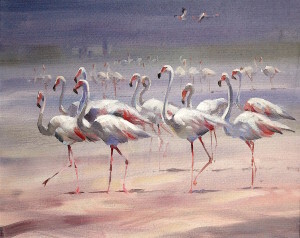 Flamingoes painted from observations in the United Arab Emirates. 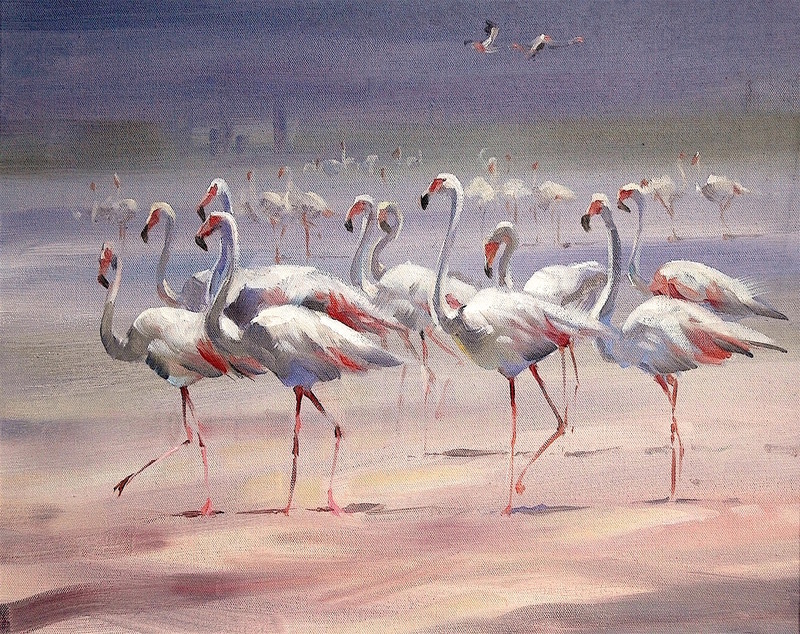 Oil on canvas showing a group of Flamingoes walking in the wet sands just outside Dubai. Completed in 2015 in Trevor’s Heywood studio.